In 2001, the R8 entered Le Mans for the first time. Since then it has never been beaten. It’s in recognition of this unprecedented success that the new Audi R8 was created – a car that has much more in common with its motorsports forebear than simply a name. It only cost £76,825. The tiptronic one was £82,025. This colour is metallic Ice Silver with Quartz Gray blades. 0-62 mph in 4.2 Seconds. 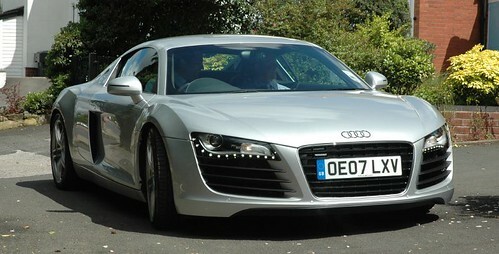 Read all about the Audi R8 here. New in the UK in July 2007.